From 1st September 2018, Sales Tax and Service Tax 2018 (SST) will replace the existing Goods and Services Tax. 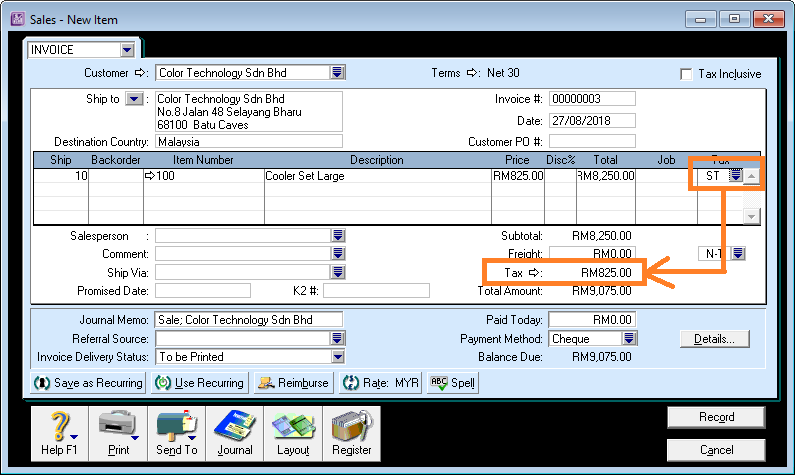 Pending formalisation of tax codes (if any) as well as the SST reporting/submission formats by Customs, you will need to start issuing invoices from 1st September. 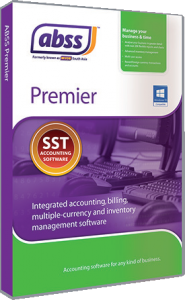 New version of ABSS Accounting and ABSS Premier with SST features has been released. Click here to view what’s new. Use this guide to setup ABSS in the interim. It applies to both ABSS Accounting and ABSS Premier. Review the Tax Codes List to verify that the codes have been created correctly. Note on Sales Tax Payable account. If you do not have this account, create a new one. You can use a different account code than the one shown shown here, i.e. 2-3300. The account you create however, must be a liability account, i.e. the account number should start with the “2” digit. Once you have created the relevant tax codes, you can then use it in the invoices you create. 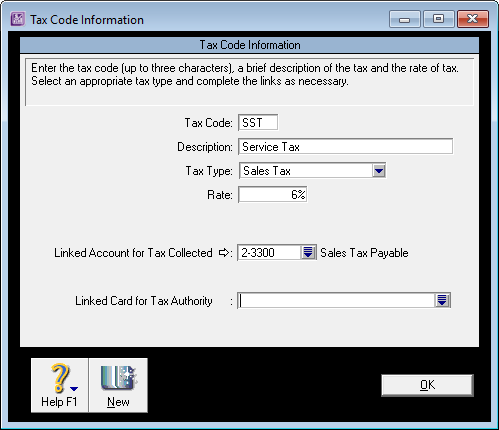 Select the ST tax code for Sales Tax. 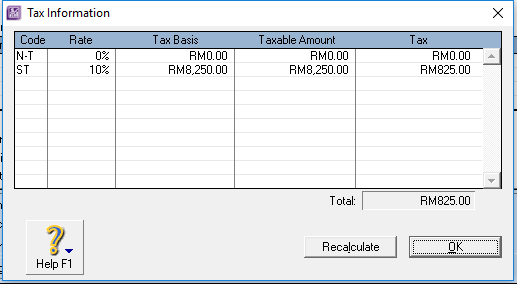 The tax will be automatically calculated. 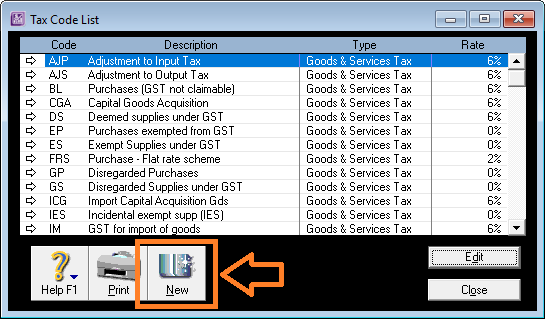 If you click on the drilldown arrow next to the Tax field, you will be able to review how the tax amount was calculated. 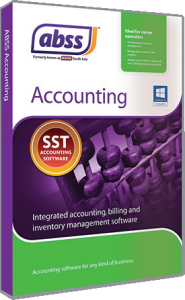 You can also review the accounting entries. 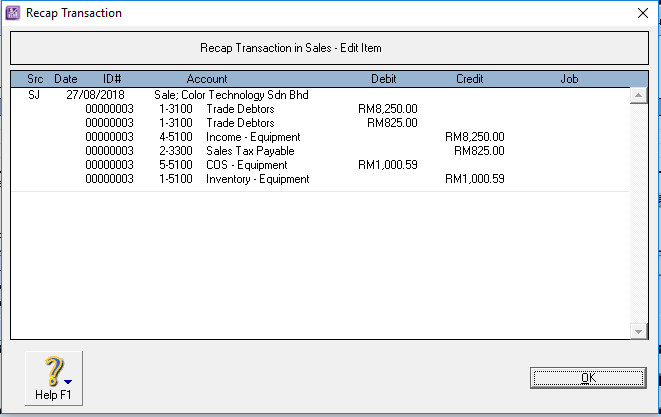 With the invoice open, click on Ctrl + R keys to recap the transaction entries. Select the SST tax code for Service Tax. 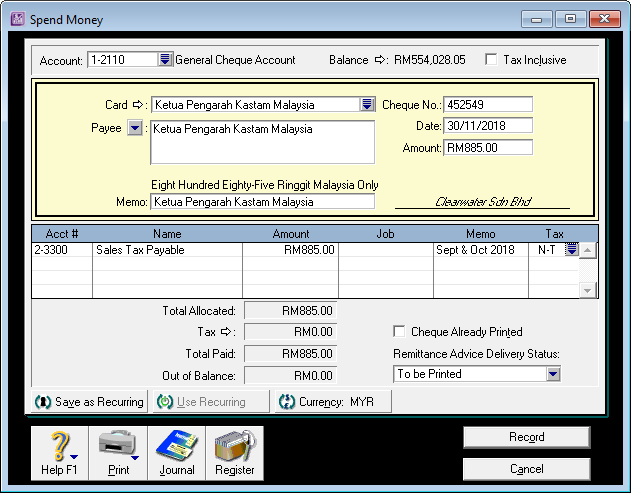 SST returns must be submitted together with payment bi-monthly. The first submission is 30th November 2018. See SST from 1st Sept 2018 for more details. In the Command Centre, click on Banking, then click on Spend Money. If you already have Ketua Pengarah Kastam card, select that, if not, just type in “Ketua Pengarah Kastam” into the Payee box. Make sure your date of payment is correct. For the first submission, this must be either on or before 30th Nov 2018. 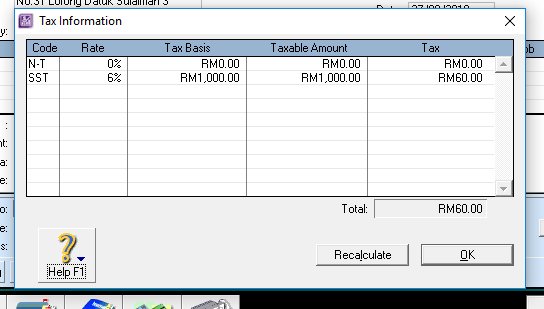 Next, select the Sales Tax Payable account. In our example, the account number is 2-3300. Select “N-T” for tax, and record the payment transaction.